Of course, there is the obvious one: the business. Our clients and the team is always at the forefront of every decision. Luckily, Ben has always invested time and money into streamlining processes. So helping clients and managing a team from Southampton was not too dissimilar from assisting clients to and leading a team from Barcelona. But I will let him cover that in a post that is coming soon, so keep your eyes peeled. The other thing we needed to work out was the wifi connection. We needed a secure and strong connection, that was reliable. We quickly realised that even though the internet at our apartment was said to be high speed, it was not reliable. This factor ended up working in our favour as we were up and out of the door very early in the morning as we needed to get our remote working set up sorted. Another element to think about was our pet dog, Hugo, whom of which has had many features on our Instagram. Hugo is a big part of the team. He, of course, had to come with us, so finding a pet-friendly workspace was crucial. So as you can expect, it wasn't always easy to find a space that ticked all of the boxes. It was a dream to work from little coffee shops, and it was a beautiful and fitting location to have our Cone Workation. There was a lot that I learnt, but right now, I want to share with you the top 5 things that I discovered from working remotely in a different country. Ensure your calendar is synced. Change the time on Google, so you know what your time is and what is their time zone. Memberships are worth it. I love the use of the pool at the current membership we have. It helps create a blend between work and lifestyle. Of course, we practice what we preach. Last minute plans and plan changes happen... be adaptable. Do not stress. For the most part, printing and scanning is not a regular occurrence for us. But there was one occasion where we did require it. Many options can work: a printing quota may be included in one of your remote working packages, or what we ended up doing, was going to a specific place that would do it for you. A quick Google search can help you here. Wifi is, of course, a huge factor to cover, as I mentioned earlier we needed a robust and reliable wifi connection. You need to have a contingency plan. When you set up a base for the morning or afternoon, you need to have a plan B. You need to know that there is a nearby option to migrate to. You do not want to waste time trailing around trying to find good wifi, especially if you have a day of meetings ahead. To research the area that you are staying in prior to the start of your work week. Go on a wifi hunt. Spend a day at the weekend to go around and scope out the place. This will help you find plan 'A's', 'B's', and even 'C's'. Check the wifi before you do a full order. Do not waste the time of the cafe owner and do not waste your own time. Do a quick check before you do a full-blown order. Some places may require you buy a drink first, but that is better than ordering a whole meal that is going to take 30 minutes to cook. 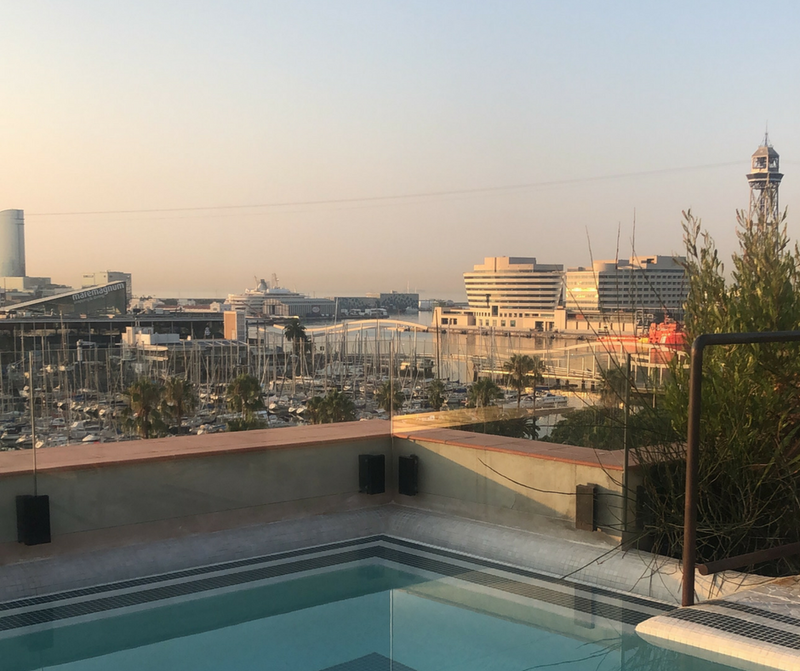 If you have a business that is remote, or if it is something that you have thought about doing I strongly recommend trialling remote work abroad. Over the next few months, we will be sharing more of what we have learnt, so if remote working is your thing be sure to keep an eye out. Until then why not check out our post: 'Remote Working Essentials'.